Hello Friends! Happy Columbus Day! I had the day off work today and what better way to spend it than creating! 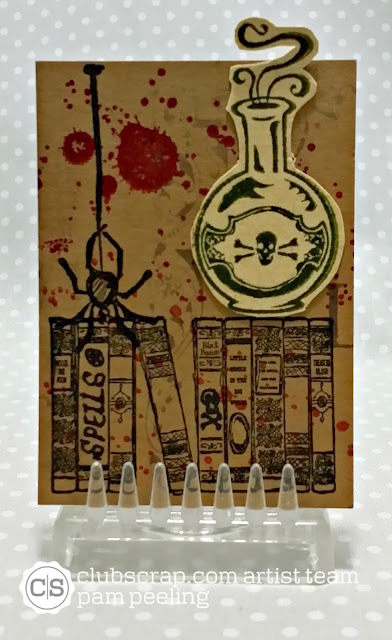 I played along at the Wicked Wednesday ATC challenge site today. The theme was Halloween- anything goes! I LOVE HALLOWEEN! and yes I meant to yell that! 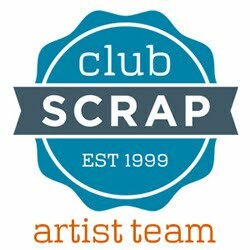 The Club Scrap kit for October is called Literature-bookish and literary and...well, not very Halloweenish. Sooo I had to put my thinkin cap on to combine this kit with the challenge. I think my ATC came out pretty good! The background paper and stamped books image are both from the Literature Kit. The other stamps are from my stash. 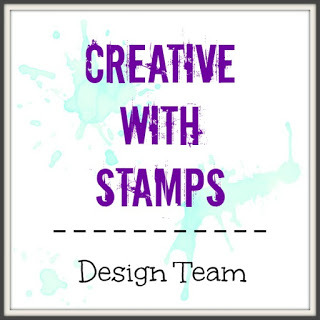 I had to add the "spells" and skull and cross bones to the stamped image-but I like it! Love this card! Great job turning it into a Halloween card!